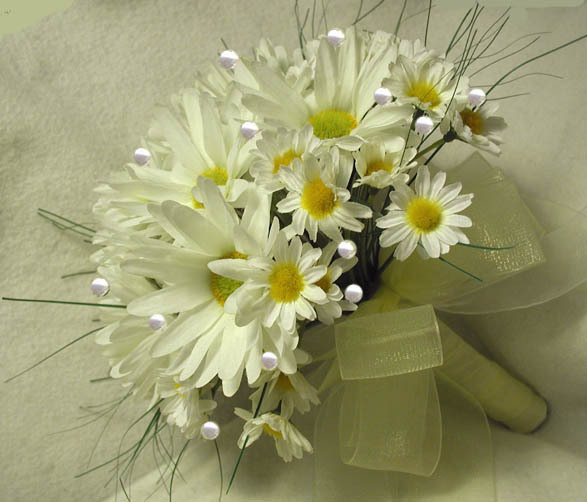 A romantic accent for your fresh flowers! 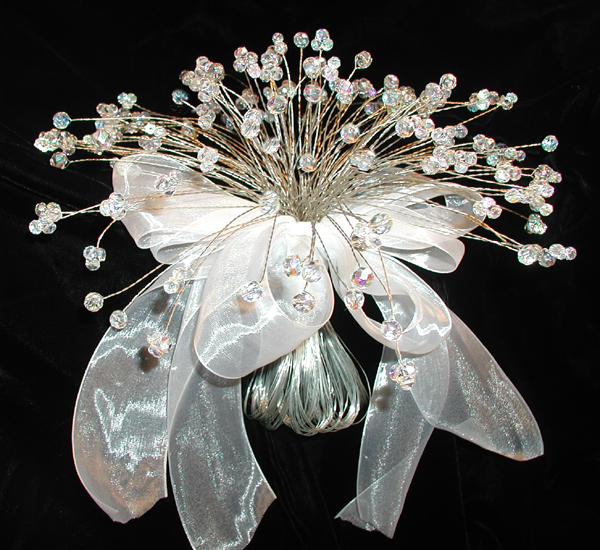 using our exclusive "High Twist" machined process for extra luster! 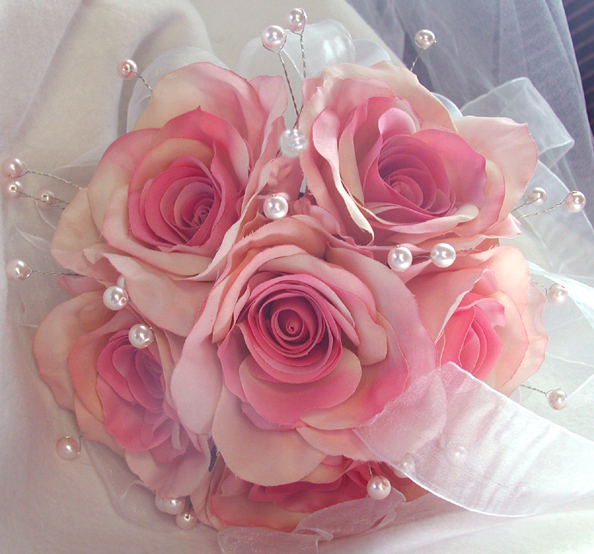 keepsake bouquet after your wedding! 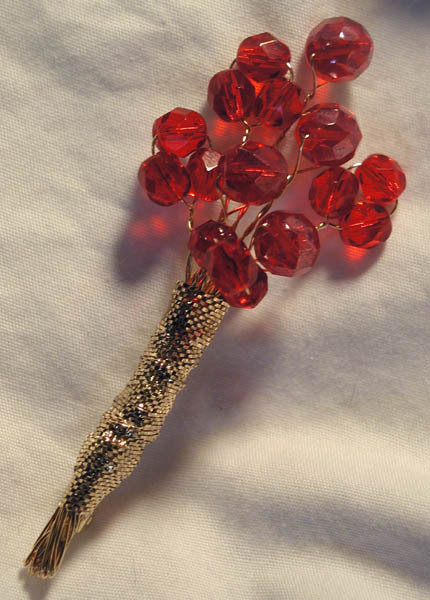 Our bouquet stems are made with large 8mm beads on 14" long "High Twist" stems. 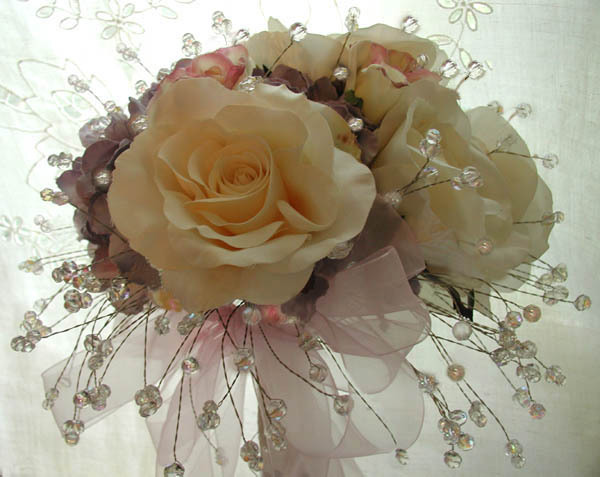 Your florist can create a romantic, fairy tale bouquet for your special day! 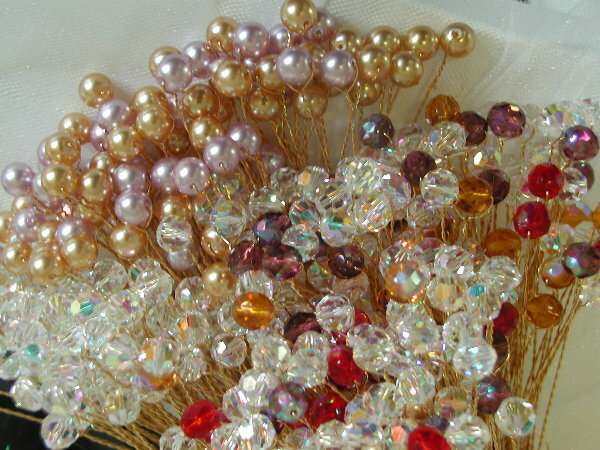 We hope that our bead and ribbon sample policy may help you. 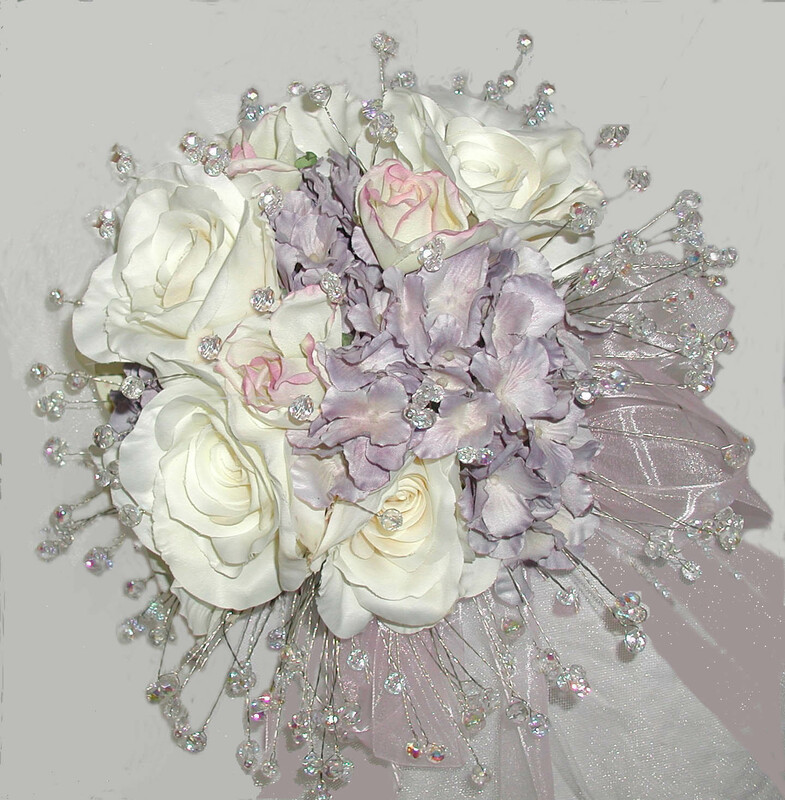 * Quantity discounts are per bead type but we will mix colors for you. 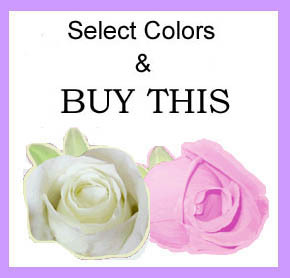 Rush Orders are sometimes available.